I am 61. I am telling you that because I don’t want you to limit yourself because of your age. Here is a video to get you started on your way to doing a push-up. A push-up is an incredible exercise when done properly. I include them in every workout. It is an excellent core exercise while working on your pectoral muscle and triceps. The muscles you need to look great in that little black dress. (if that is what motivates you) For me, push-ups are very empowering. I feel strong when I do them. I am including exercise videos in THE PROGRAM! Give yourself 4 weeks to become stronger, leaner and more energetic. Here is the short version of the story. In March of 2014, I hurt the left side of my lower back doing nothing. We all know how that goes. I was in so much pain, I had to take drugs, pain killer, anti inflammatory and muscle relaxants. I have put so much time and effort into getting myself back together. PT, acupuncture, massage, 3 different chiropractors and structural integration work. It all helped to some extent. I wanted to learn how take care of myself. I have been doing some of his workouts and of course I added them to my Fit and Fabulous workouts. I am striving to find the balance between impact, strength and recovery. I do love the impact, running, jumping ropes, mountain climbers, burpees etc. At times, the issue in my back creates tightness down my IT band and has caused numbness around my knee. I am able to manage it for the most part but I want to be 100%. I found Dr. Phil Pritting, a chiropractor at Integrative Wellness in Belmar who worked with Dr. Goodman and is certified in Foundation Training. He took my training to a whole different level. Today was my last day with him because Phil is moving back to California. Too bad for me but I wish Phil the best. He is on to new experiences. Here is a short video of one of the exercises that has been so helpful! The point of all of this is don’t give up. Your body has an amazing capacity to heal itself. It is not easy but so important for your own well being! Proven method for weight loss. If I am writing it down, my diet is better, keeps me focused on the good food choices. Measuring is important in the beginning. I no longer measure because I have a sense of what the portion should be. If I stop dropping the pounds I will go back and measure. It is great to include your exercise for the day as well. You will begin to understand what is working and what isn’t. There are all sorts of apps that will record for you. I enjoy my notebook and writing it down. 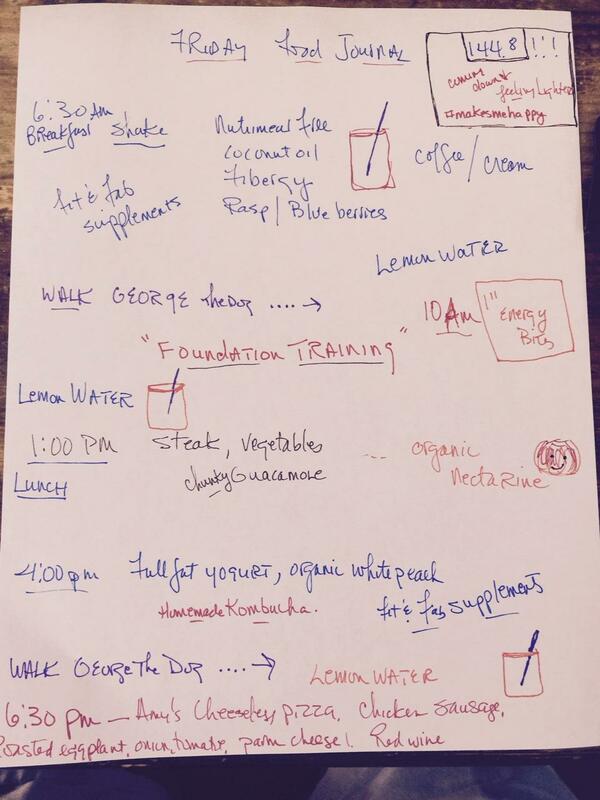 I love reading what other people eat and what their day looks like? Do you? Week two …3 pounds lighter. It is Progress. Heading in the right direction. Half a pound this week according to the scale. It feels like more, my pants are definitely looser and my belly is flatter. Keep on going. I have created THE PROGRAM! Are you ready to join me on the Fit and Fabulous…Aging Optional Journey. It is so much easier when we are all in this together! I didn’t go into the food in the video. I have been eating well. 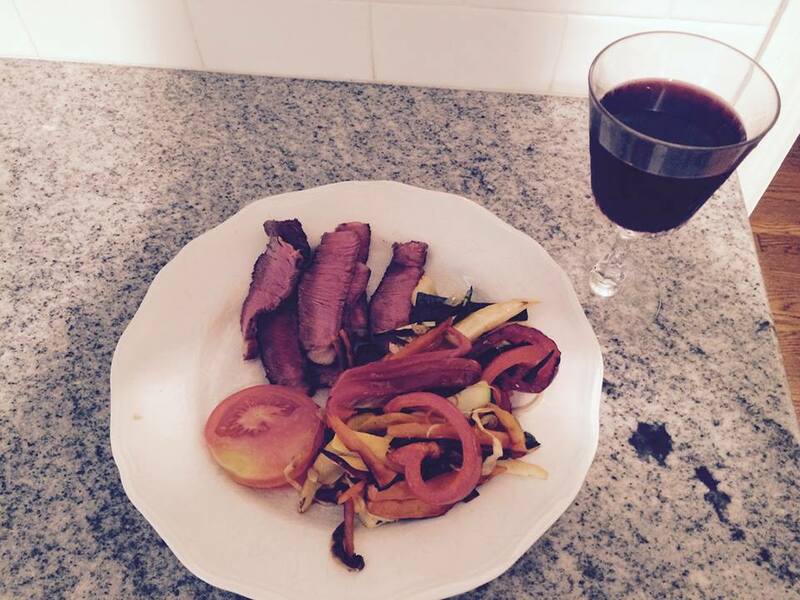 One night, I had sirloin steak, roasted vegetables and red wine. So delicious! Last night we had cod and scallops over pasta. I have changed a few things in my diet. These small changes have made a difference. I can help you too! Sirloin steak, roasted vegetables and a glass of red wine! Delicious! Are you ready to be Fit and Fabulous…Aging Optional? It is time to rest, which is not an easy thing for me to do. I love working out with my group. I love how I feel when I workout. Doing pushups, mountain climbers and burpees is all very empowering. Sometimes your body tells you to slow down and take care of yourself. My body probably has been telling me that for awhile but I don’t like to hear it. This weekend went spent hours in the car and my back seized up so now I really need to rest, ice and some foam rolling. Movement is good but I can’t push it to the pain level. I tend to push through the pain as an athlete you learn to do that. Right? I don’t need to anymore. The goal is to be healthy, fit and feeling good. So for now I have been benched. Sometimes you just need to sit on a swing. Actually, I can move as I want as long as it doesn’t cause pain. Movement is good, pain causes inflammation. It is especially important to be taking my supplements now. They will help reduce the inflammation in my body. How do you do with taking time off from working out? Does it make you cranky, irritable or are you happy to have a break? I would love to hear from you. Take away…be nice to yourself! 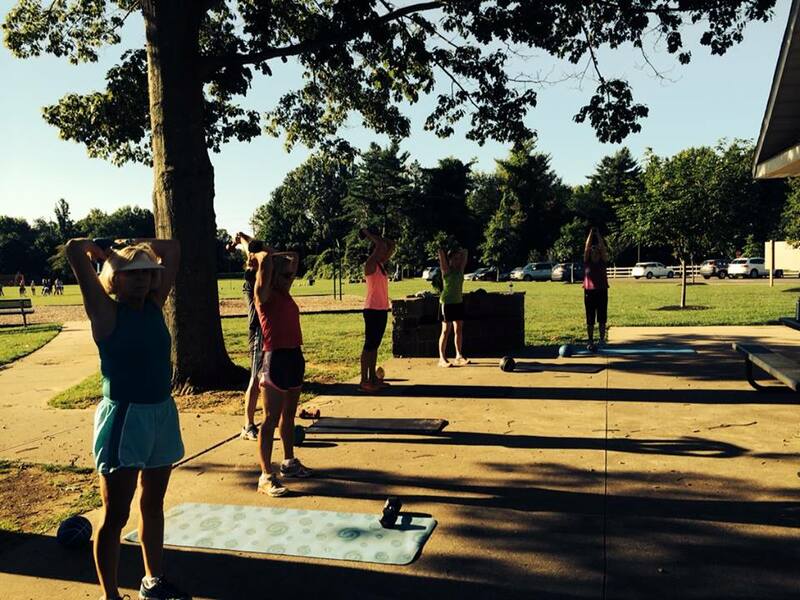 We have had a great first week at my new workouts! It feels great to be back at it with my friends! We are all on the journey to being Fit and Fabulous…Aging Optional except for Kate because she is pregnant and is having a beautiful Thanksgiving BABY! She showed up this morning to workout with us! EAT MORE FAT! Instead of reaching for the pretzels have a few raw macadamia nuts. My dad traveled a lot when I was growing up. He would bring home little containers of macadamia nuts from the airlines, such a treat for me! If you are having a piece of fruit have a few nuts along with it. Nuts lower the glycemic load of the fruit. It is so important to keep your blood sugar balanced so you can release the FAT! 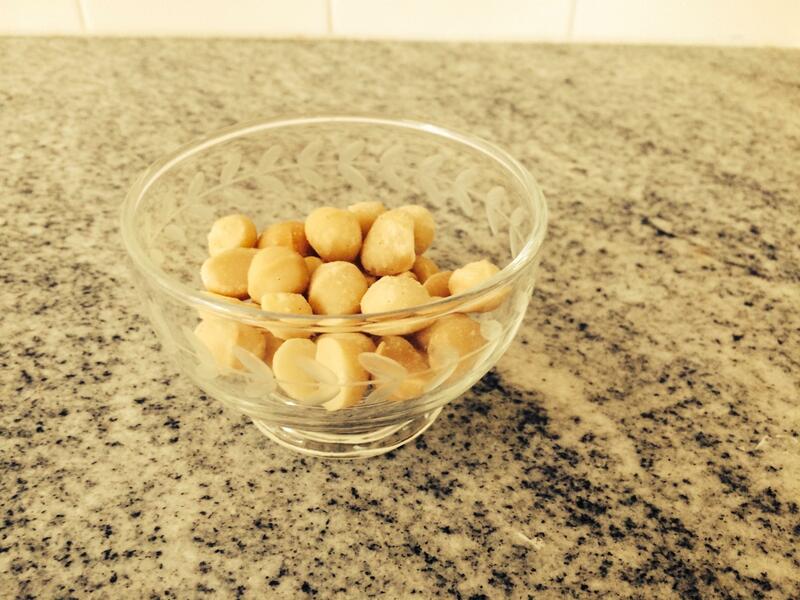 Raw macadamia nuts are high in the same healthy fatty acid found in olive oil. They are full of essential minerals, vitamins and HEALTHY FATS! They are also delicious and loaded with calories. 203 calories in 10-12 nuts. I put a serving size in a pretty dish and try to limit myself to that. 12 minute fat burning workout! I am creating a new program which starts next Thursday …check local workout page for more details! What is the minimum You need to do to stay in Fit and Fabulous shape? Today’s workout includes 30 push-ups and 30 burpees! I think that is enough. First, I did my PT back exercise to warm up, a mile run/ walk with George the dog , my 12 minute fat-burning workout and finished up with a few yoga stretches . A perfect workout! Complete three rounds and don’t forget to stretch. I want to feel FABULOUS, VIBRANT and HEALTHY! FABULOUS, VIBRANT AND HEALTHY! …that is the GOAL! I have been doing a lot of soul searching the past 6 months. I hurt my back and had to take some time off, physical therapy etc. I have always been athletic which is a very ego-driven adventure. Working out and being Fit is very important to me and my ego. Christa and I created OutdoorFit 7 years ago. It has been a great run. We taught and encouraged women to do things they never thought they could do. 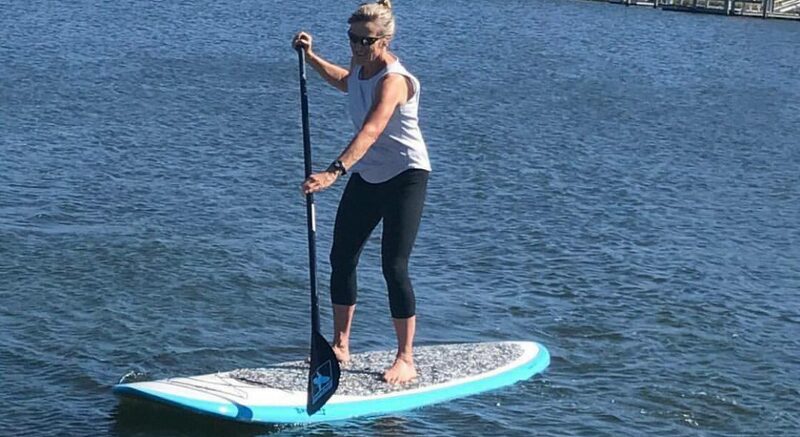 My friend Jane became an athlete in her 60’s. We changed lives, created winter warriors and had a great time doing it! It is time for a change, A NEW BEGINNING! A few weeks ago at a workout I looked up and in class we had two 70 something, three 60 something, two women in their 50’s and a youngster who just turned 40! I thought this is AMAZING! 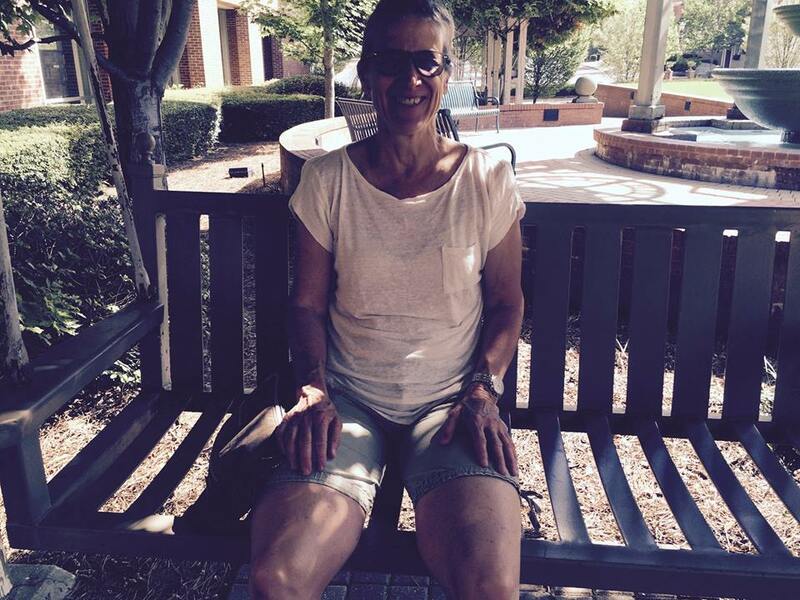 Fit and Fabulous…Aging Optional!! It is time to create a different workout. It will still be intense but perhaps for 12 minutes instead of 25 minutes. 60 burpees in a workout is very empowering but not necessary for your health and well being. How about 25 or so? It will include more stretching… flexibility is key for any age. I have also been tweaking my diet. I know I can’t exercise my way out of a BAD DIET! I don’t want to be working out so hard. So I need to be more aware of what I am putting in my mouth. I want to feel FABULOUS, VIBRANT and HEALTHY. My program is coming together and will begin in September. I am excited to be announcing the details soon. So please stay tuned. For a sneak preview, I am having a Fit and Fabulous event Thursday evening in Red Bank. I would love to see you there. More details here and please RSVP. Sorry, in the shadows…These are AMAZING WOMEN! This blog post has been in my draft file for a few months. I thought this week would be the perfect time to post it. The old is falling away and it is time to look at life in a new way. I was on my monthly Team Northrup telegathering this week. It is an international call with Dr. Christiane Northrup, her daughter Kate and her sister Penny.It was an interesting talk about retirement . We are all living longer than the retirement age of 65 and why not continue on and do what you love. I got involved with Team Northrup because I am interested in building residual income by helping myself and inspiring others to be healthy. It is very important to have a subculture that supports and I have found this with Team Northrup. I wanted to share this with My OutdoorFit ladies. You are a subculture of phenomenal ladies who aren’t afraid of doing something just a little different from your peers in almost any kind of weather. I wanted to Thank you for that! I was listening to the call when Dr. Northrup starts talking about Mary. (ME!!!) A woman who is in her “inner circle” and one of her leaders in Team Northrup. Here is the recording of the Telegathering…Rethinking Retirement. I am at minute 11:23! Why not continue on doing what you love and make money until the day you die? Instead of wondering whether you are going to run out of money before you die? What do you love to do?